JMD handy baby can copy 8C successfully using TK5561A blank chip. Testing pictures means a lot. As you can see, the upper one chip is 8C and the one below is TK5561A blank chip. Firstly, put the 8C chip in the coil of JMD handy baby and meanwhile press the “Ok” button. Read out the type 8C and ID. Take out the 8C chip and press the “Ok” button, get message “Put in blank TK5561A”. Put in the blank TK5561A, you can see it copy successfully. Here I thumb up JMD handy baby for what it can do. 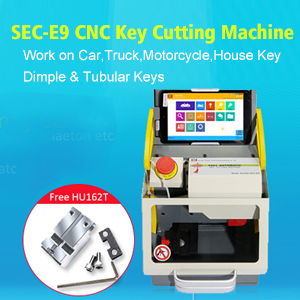 Clone car keys, HANDY BABY CBAY OR CN900 MINI? Superobd SKP900 what work and not work? I think some locksmith have not t often been a g-pig, and have took info from others before buying tools. When I read a post from digital-kaos.co.uk/forums/, entitled SKP900 yes and no. This blog is a tutorial to add 2014 Nissan Altima new key using SKP900 Key Programmer and NSPC001 Nissan Pin Code Reader. Check below steps to start! How to use vvdi BE key pro improved version to change frequency? VVDI BE Key Pro improved version allows to change key frequency 315 Mhz or 433 Mhz through SW of VVDI MB tool or through PCB resistor if you don’t have VVDI MB tool.